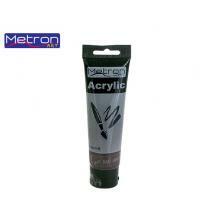 METRON ART ΧΡΩΜΑ ΑΚΡΥΛΙΚΟ 100ml BURNT UMBER 6T. 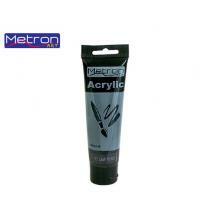 METRON ART ΧΡΩΜΑ ΑΚΡΥΛΙΚΟ 100ml CERULEAN BLUE 6T. METRON ART ΧΡΩΜΑ ΑΚΡΥΛΙΚΟ 100ml CRIMSON 6T. METRON ART ΧΡΩΜΑ ΑΚΡΥΛΙΚΟ 100ml EMERALD GREEN 6T. METRON ART ΧΡΩΜΑ ΑΚΡΥΛΙΚΟ 100ml LAMP BLACK 6T. METRON ART ΧΡΩΜΑ ΑΚΡΥΛΙΚΟ 100ml LEMON YELLOW 6T. METRON ART ΧΡΩΜΑ ΑΚΡΥΛΙΚΟ 100ml ORANGE RED 6T. 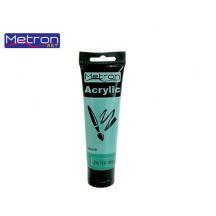 METRON ART ΧΡΩΜΑ ΑΚΡΥΛΙΚΟ 100ml PERMT GREEN 6T. METRON ART ΧΡΩΜΑ ΑΚΡΥΛΙΚΟ 100ml RAW SIENNA 6T. METRON ART ΧΡΩΜΑ ΑΚΡΥΛΙΚΟ 100ml RAW UMBER 6T.